A Gothic or pointed arch with the radii of the arcs less than the span. 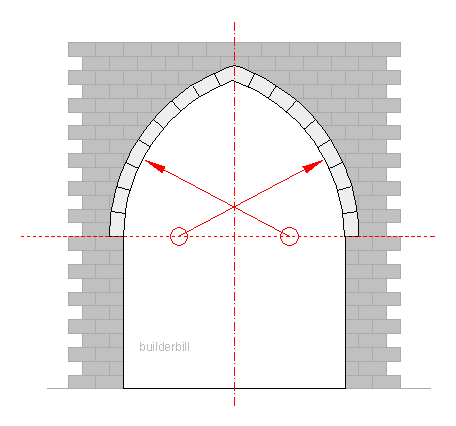 One again the radii are the same length and the arc centres are on the springing line but in this type of arch they are less than the span of the arch. Now here is a case of a stonemason or a builder showing his expertise. 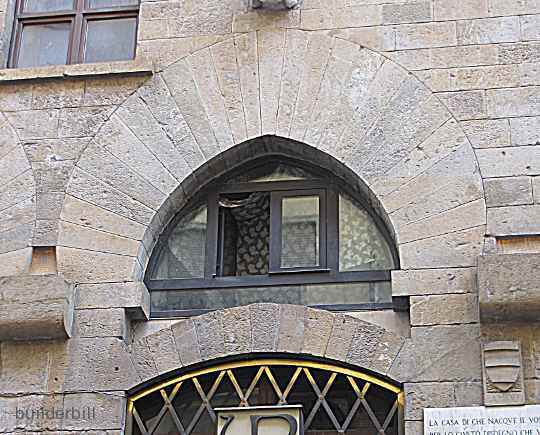 Clearly the arch intrados is a pointed arch although only just, but the extrados is in the shape of a moorish arch. Below that again we have a segmental arch. Seen in Florence.